As far as i can tell, the “bad side” of PvP, as in being ganked, isn’t much of an issue. 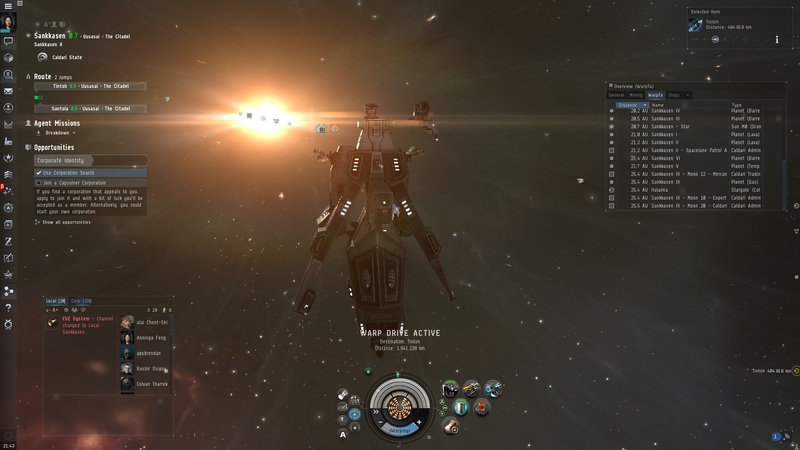 Granted, my experience with EVE is very limited, but i haven’t been killed by other players yet, even though i ventured into nullsec once or twice to mine. Even if i were to get killed, there’s this old EVE rule of “never flying something you can’t afford to lose”- my Bantam is a very cheap ship, coming in at about 250,000 ISK. Furthermore, the career agents throw more ships in your general direction as you can take in or fly. I think i have two Bantams in reserve already. So yes, you have to calculate PvP into things that can and probably will happen to you, but i wouldn’t say it’s “forced upon” you- you could stay in hi-sec and be relatively safe. Again, even if someone would take my Bantam out- that’s basically what you pay for repairing your gear after dying from fall damage in fantasy themepark MMORPGs. The learning curve? The “i don’t know what i should be doing” factor? In my personal experience and opinion, those are far more common reasons for not being able to make it work than pvp.